A mugshot provided by the Simi Valley Police Department of 23-year-old Darnell McDuffie, who was arrested Friday, Aug. 11, 2017. SIMI VALLEY, Calif. (KABC) -- Police have arrested a 23-year-old man accused of attacking a woman in an attempted burglary at her Simi Valley home. Darnell McDuffie, a transient from Oxnard, was arrested Friday at the Ventura County Jail, where he was in custody on a parole violation, Simi Valley police said. At about 5:30 a.m. on July 22, McDuffie allegedly broke into a woman's apartment in the 1700 block of Sinaloa Road as she was waking up. Police said the suspect "battered" the woman and tried to restrain her with duct tape as she fought him off. The man then fled the scene of the crime. 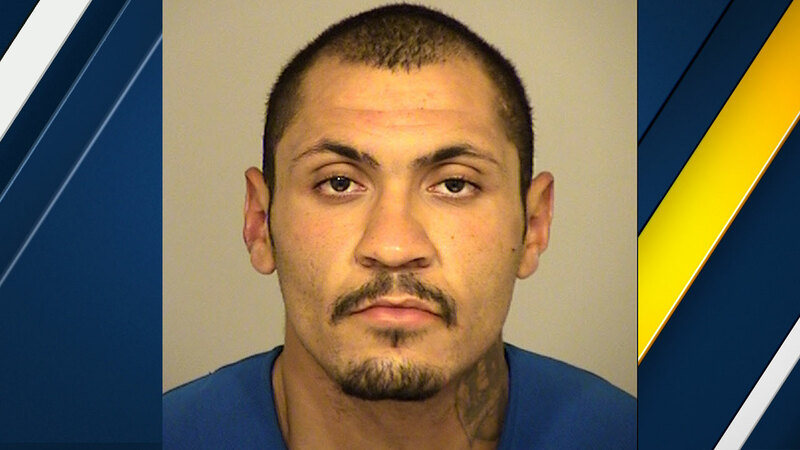 Physical evidence obtained from the scene during the initial stages of the investigation were submitted to the Ventura County Sheriff's Crime Lab for forensic analysis, and detectives determined the suspect assaulted the victim during an attempted sexual assault. The analysis also led to the suspect's identification, police said. McDuffie was charged with burglary in the 1st degree and assault with the intent to commit a sexual assault. His case is being referred to the Ventura County District Attorney's Office.